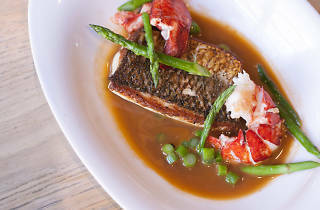 Photograph: Courtesy mk mk serves seasonal American dishes, like lobster with whitefish. 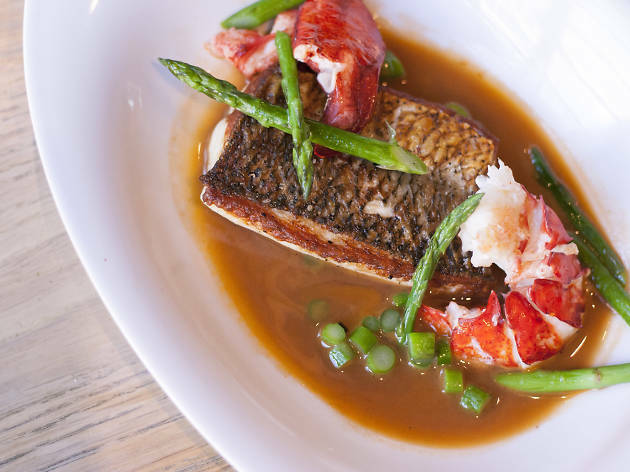 Michael Kornick’s initials still emblazon the exterior of this River North stalwart, but chef Erick Williams executes the day-to-day, drawing in newbies and satisfying loyalists with elegant and seasonal contemporary American cuisine. The spacious and tasteful room is comfortable enough that you can settle in for Williams’s tasting menu, where he’s been known to show off a veal porterhouse grilled over hardwood charcoal with melted leeks and the simplicity of seasonal oysters with a mignonette. El stop:Brown,Purple (rush hrs) to Chicago. Bus:37,66,156.